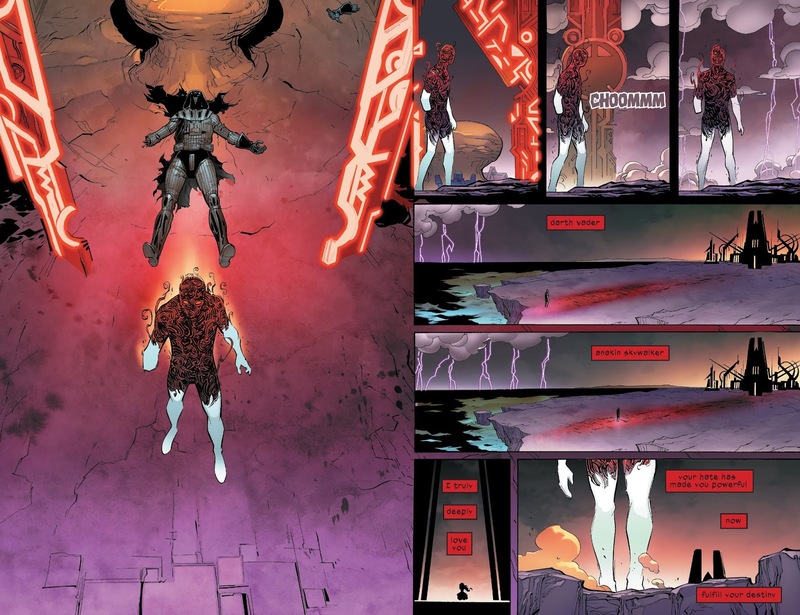 Darth Vader stepped into the other side of the Force using the Force energies of the planet Mustafar, aided by the unique building designed by Momin. 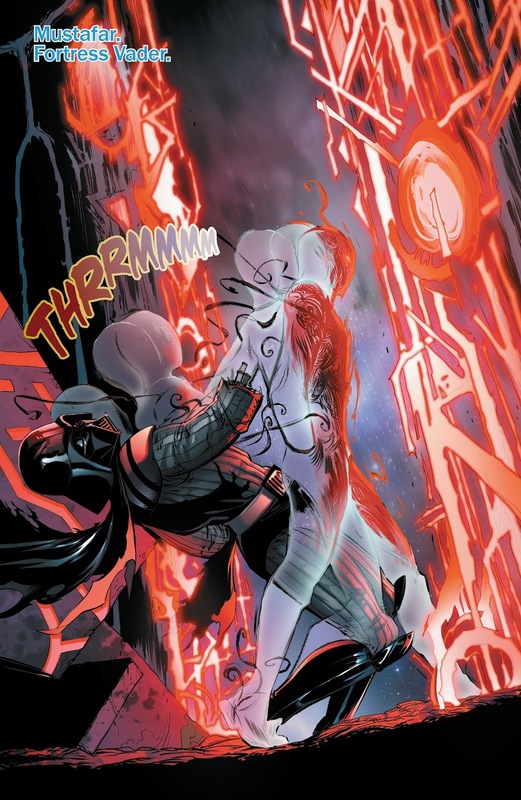 Vader started seeing visions from his past and the last panel shows Palpatine somehow influencing something on Shmi Skywalker’s womb. 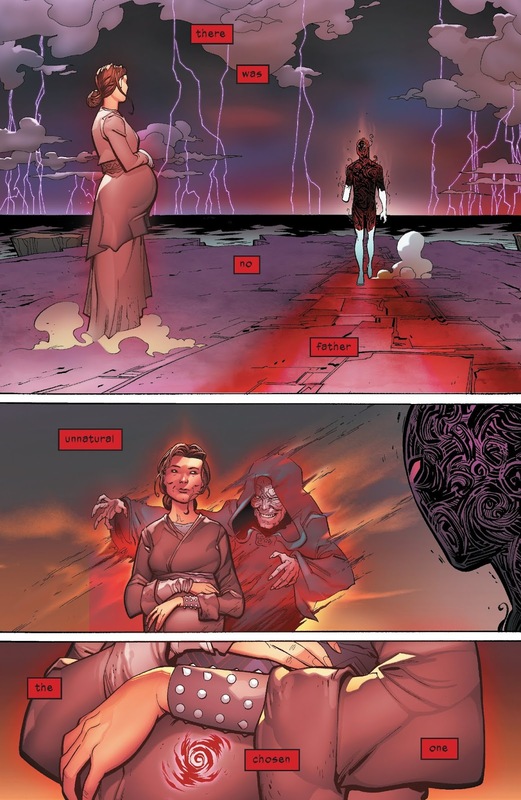 This I think is Marvel’s way of saying Palpatine used Darth Plagueis’ Force Technique of creating life and used Shmi to give birth to Anakin without a father.